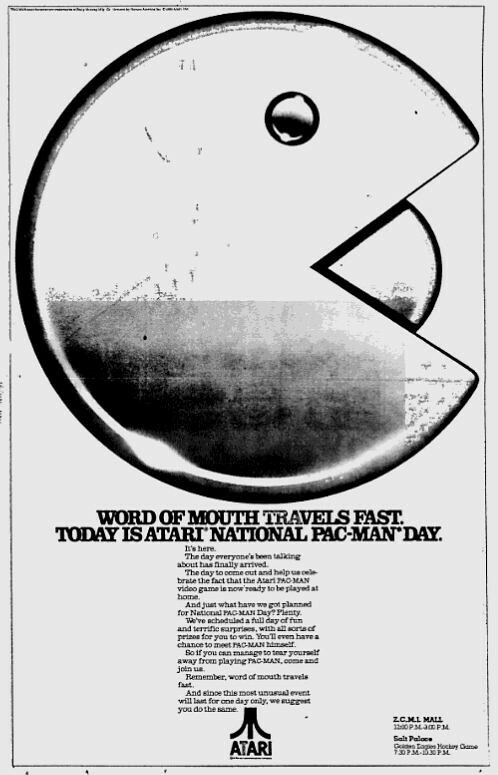 30 years ago today on April 3, 1982, Atari announced National Pac-Man Day. National Pac-Man Day coincided with the release of Atari’s port of the Pac-Man arcade game. Despite that game being one of the worst ports of a game ever created, it was the highest selling game of the year and received an enormous marketing push from Atari. 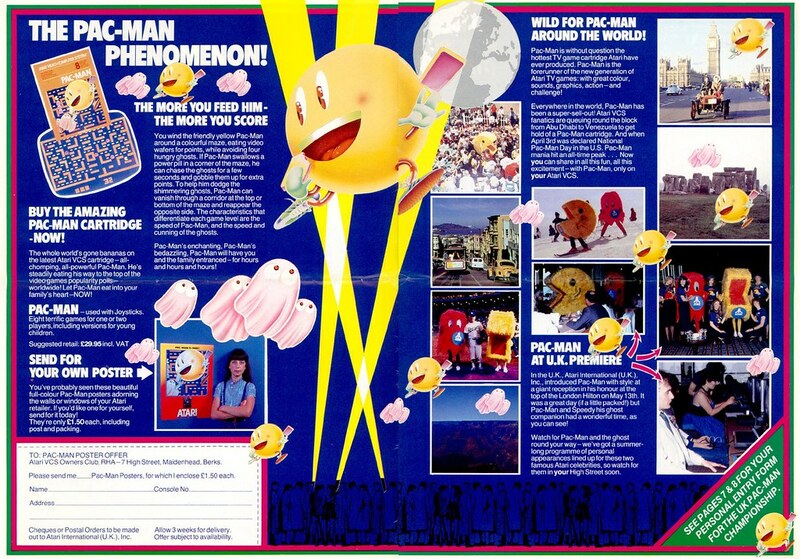 Above is an ad touting the popularity of Pac-Man and it includes pictures from Pac-Man release parties all over the world. 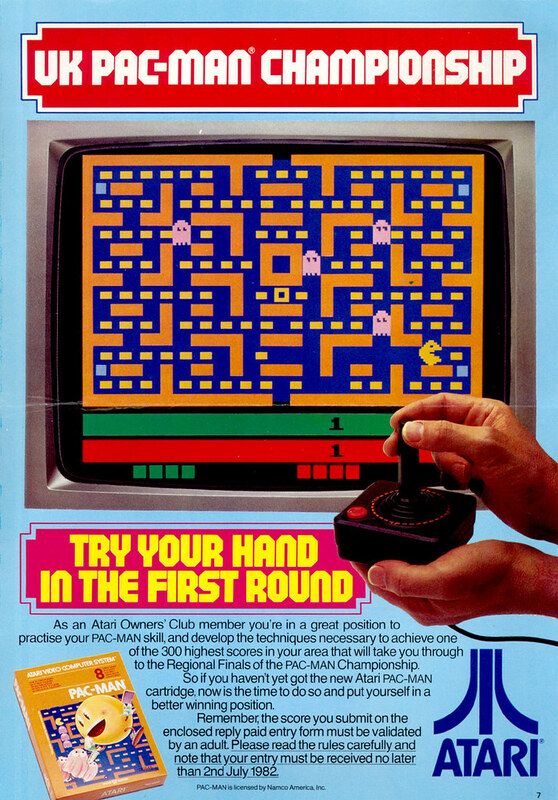 Atari even held several Pac-Man Championships. Here’s an ad for the UK Championship. Atari’s Pac-Man, along with E.T., probably killed not only Atari but the entire home console video game market. At least for 4 or 5 years until the Nintendo Entertainment System took off. Because, despite selling millions of Pac-Man cartridges (as well as E.T. ), Atari had over estimated demand and made many, many more than was sold and they were left with tons of extra cartridges. So, enjoy Atari National Pac-Man Day! One of the nerdiest holidays ever! This entry was posted on April 3, 2012 at 8:00 am and is filed under Atari, Pac-Man, pop culture, video games with tags Atari, Cavalcade Arcade, Pac-Man, pop culture, video games. You can follow any responses to this entry through the RSS 2.0 feed. You can skip to the end and leave a response. Pinging is currently not allowed. 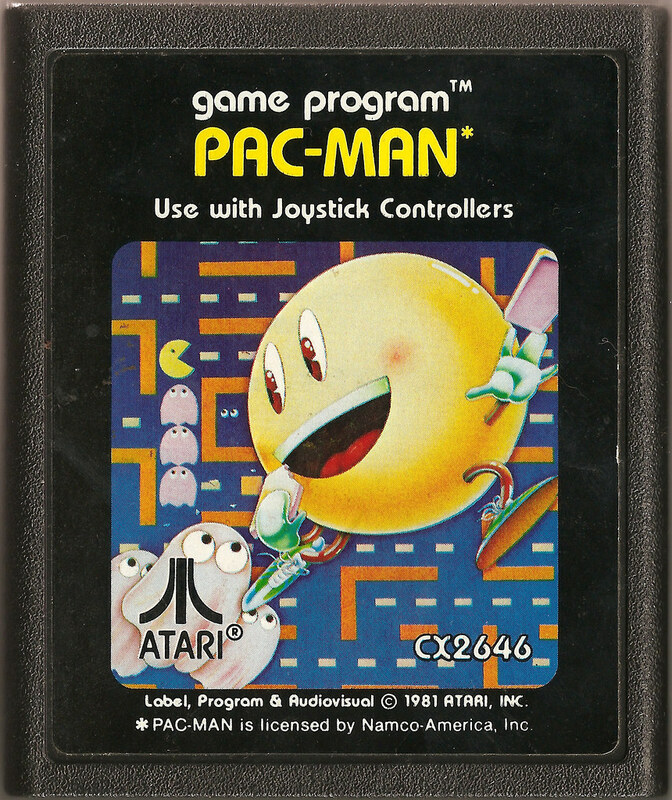 For some reason, I’m absolutely positive that my cousin had an Atari 2600 and that cartridge, which was how I played Pac-Man, but I honestly don’t remember the graphics being at all like that; I remember something closer to the arcade. I believe it is a rare case of my memory blocking it out, which is odd, as I usually remember these types of things pretty accurately, for better or for worse. Are you sure it was the 2600? I think the graphics were improved for both the Atari 5200 and the Atari 800.